Summer is my second favorite season (next to beautiful autumn, of course), because I love to grill out and have picnics with my family. We try to grill something at least once a week if this strange Pennsylvania weather allows us. 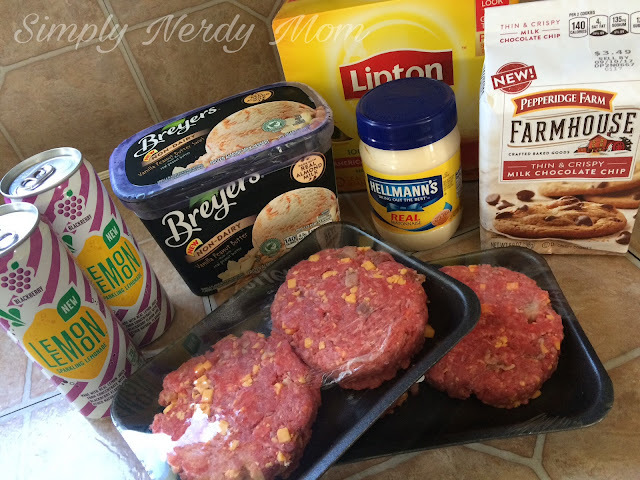 There's just something about the smell of meat and veggies on the grill and a sip of ice cold sun tea on a warm day. With school letting out and it being the beginning of June, It's officially the "Thrill of the Grill" season! My husband and I only shop one place for our summer grilling, and that's our local Giant Eagle. 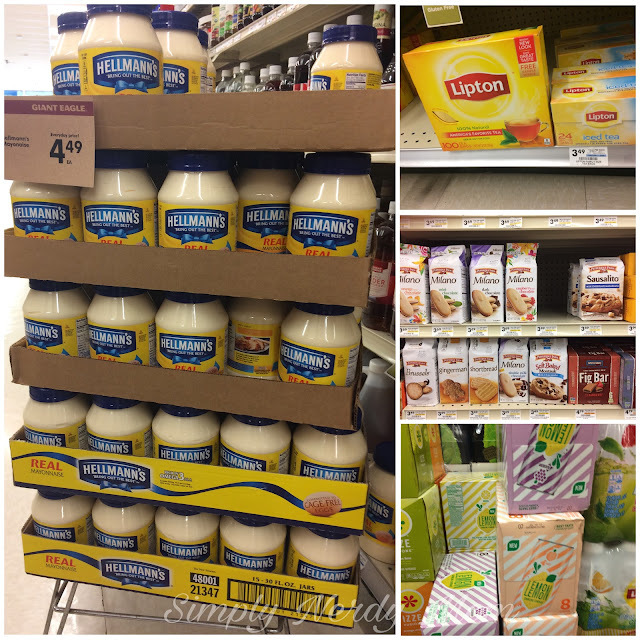 I'm not kidding you, Giant Eagle is your one stop grilling shop, with everything you need to throw the perfect sumer picnic or eve a quick summer meal for the family. Summer means warm weather, and the last thing I want to do when it's warm is spend a day in the kitchen preparing a meal. We host a lot of family cookouts, and there have been plenty of times where I have spent days leading up to it, preparing food. Why do that to yourself, when you can visit your local Giant Eagle and pick up the essentials to throw together quick, delicious meals? 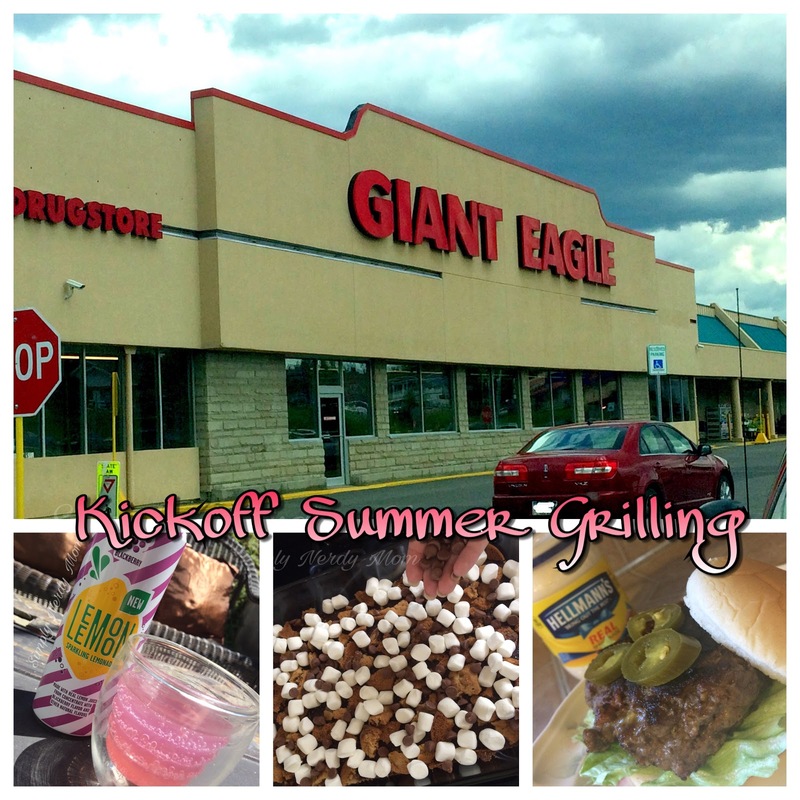 We wanted to celebrate June officially being here by having our first cookout of the season, so we went to Giant Eagle to pick up some goodies. The thing I love most is that, if you really don't want to cook, you can grab quick premade salads and sandwiches. We've been known to do that on those really sweltering days when I just can't justify heating up my kitchen for a meal and then facing the heat to clean up after dinner. So while we are picking up quick meals, we often head over to the summer specials section and pick up paper plates and utensils, too. This weekend, however, we decided we were hungry for burgers, so that's what we picked up. from the meat department. Our particular Giant Eagle doesn't have a meat counter, like most because it's a smaller store, however, these burgers are made fresh every day by their in house butcher and you can just go right in and tell them how many you want and they will package them up for you. If you are lucky enough to have a meat counter, you'll notice that they also have a variety of other gourmet burgers to choose from. Oh! 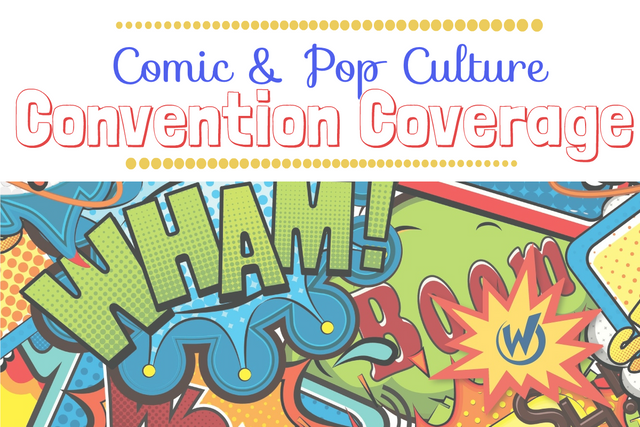 And don't forget the Hellman's Mayonnaise! What's a good burger without some quality mayonnaise? 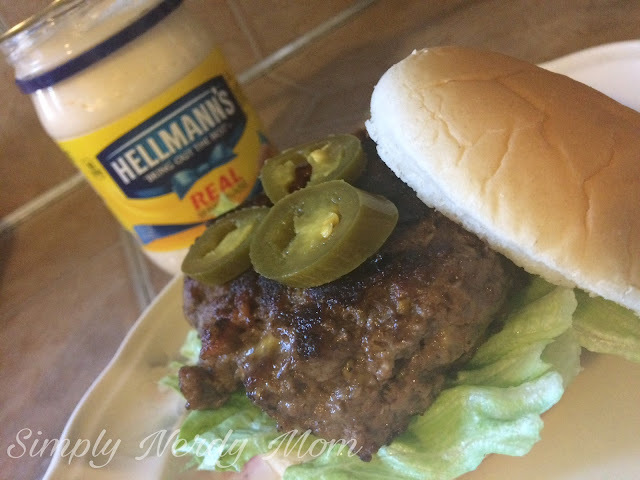 My husband can't have a grilled burger without Hellman's Brand Mayonnaise. I enjoy a barbecue and steak sauce mix on mine. We also love sun tea. I think we end up going through a huge 2 gallon pitcher a week (or less). 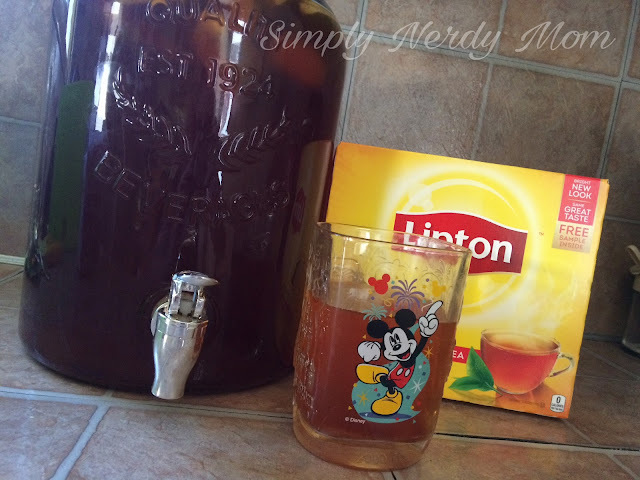 So, I decided to stock up on Lipton 100 count tea bags, and when I got home, I threw a quick pitcher of spiced pear tea together. I really like the Lipton 100 count boxes because of the way the tea bags are packaged inside. They are nice and organized into sections, meaning I won't having them falling out or scattering through the box while they are in my pantry. While we were at the store, we ran into a display with sodas they had on special for the week, all Pepsi products. 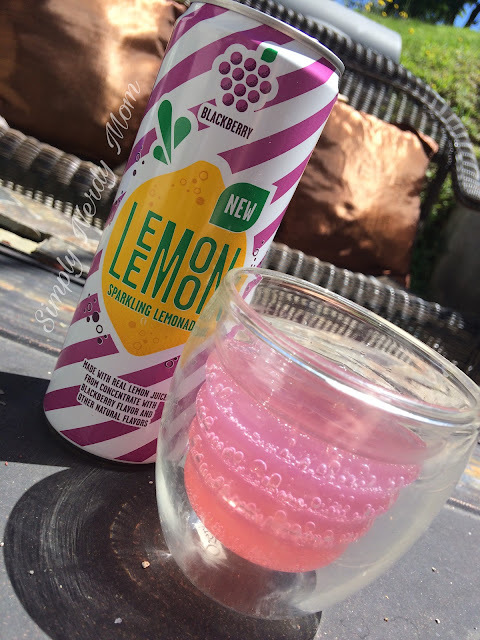 Amongst the products was this Lemon Lemon Sparkling Lemonade that we've never tried before, so I grabbed a case of the blackberry. This has to be one of the most refreshing summer beverages I have ever had. It's so good! So I sipped on that outside while I waited for my s'mores brownies to bake. 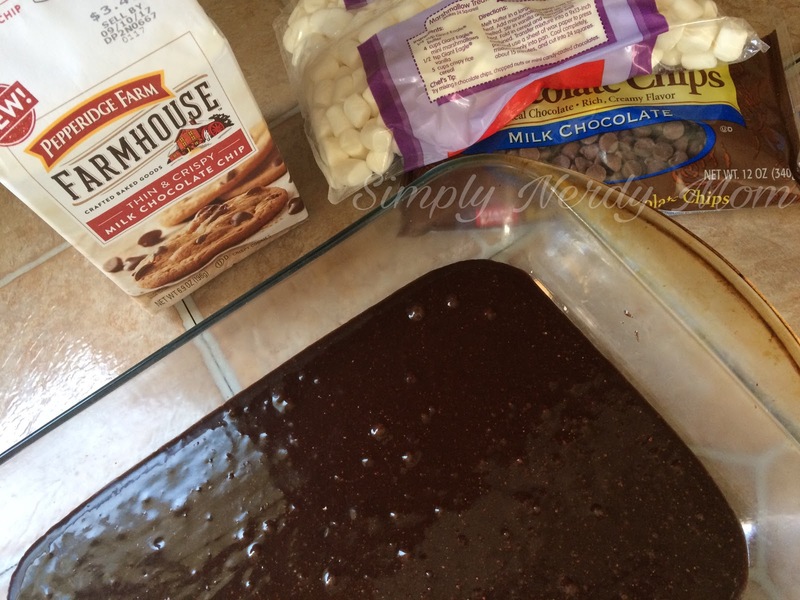 I prepared my family's favorite brownie mix following the package instructions including the baking time. 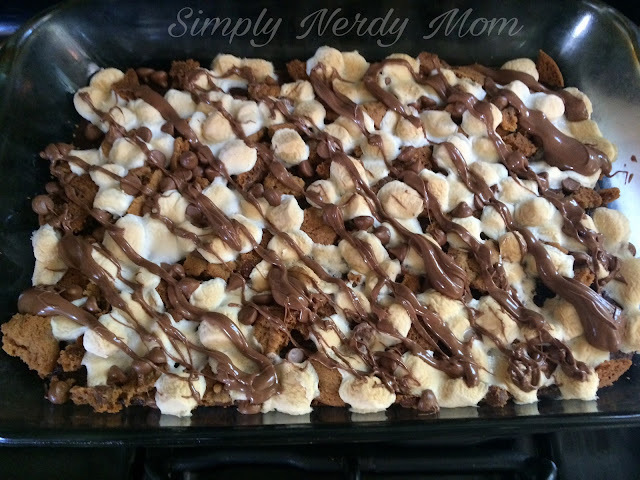 I took the brownies out of the oven 3 minutes before the timer went off and crumbled Pepperidge Farm Farmhouse Chocolate Chip Cookies on top, followed by mini marshmallows, and chocolate chips. I then put the brownies back in the oven for roughly 5 more minutes. Enough time to finish the brownies, and lightly toast the marshmallows. Of course, we love chocolate in our house, so I melted some more chocolate chips, and drizzled it over the top. What's a summer picnic without s'mores, right? This is a great dish to take to a cookout because you can have s'mores even if it's too hot to build a fire. S'mores are definitely a summer essential in my family. 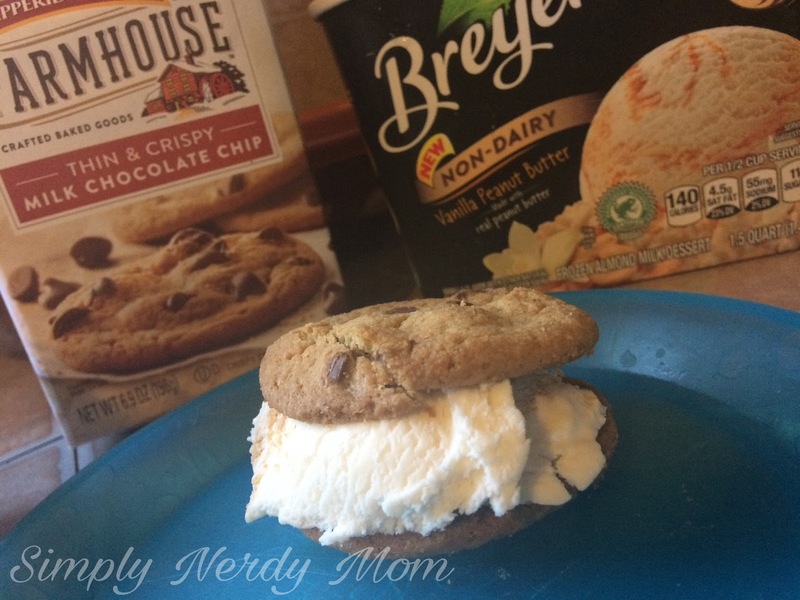 I also used the leftover chocolate chip cookies to make ice cream sandwiches by scooping some Breyers Non-Dairy Ice Cream between two of the Pepperidge Farm Farmhouse Chocolate Chip Cookies. So good! My children really enjoyed these. They were a nice little dessert on a warm day and they were so quick and easy to make, which I love, because as much as I love cooking, sometimes I just want relax after a long day. 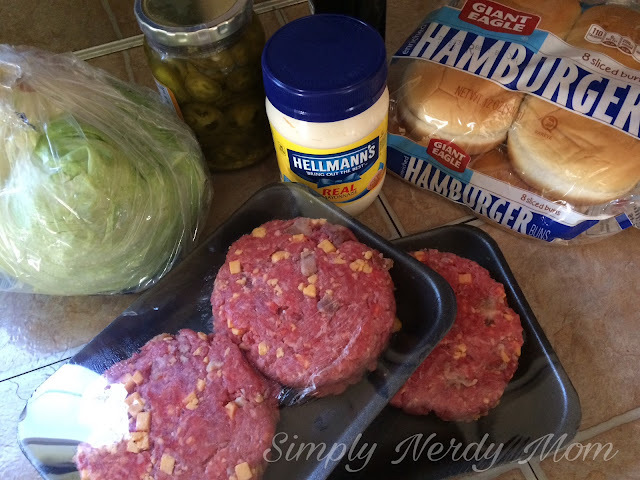 I like to follow Giant Eagle on social sites because they often have great recipes and featured specials. Prepare Brownie Mix as directed on packaging. Bake in oven at 350 for 13 minutes, or the time indicated on the box per your desired baking dish. 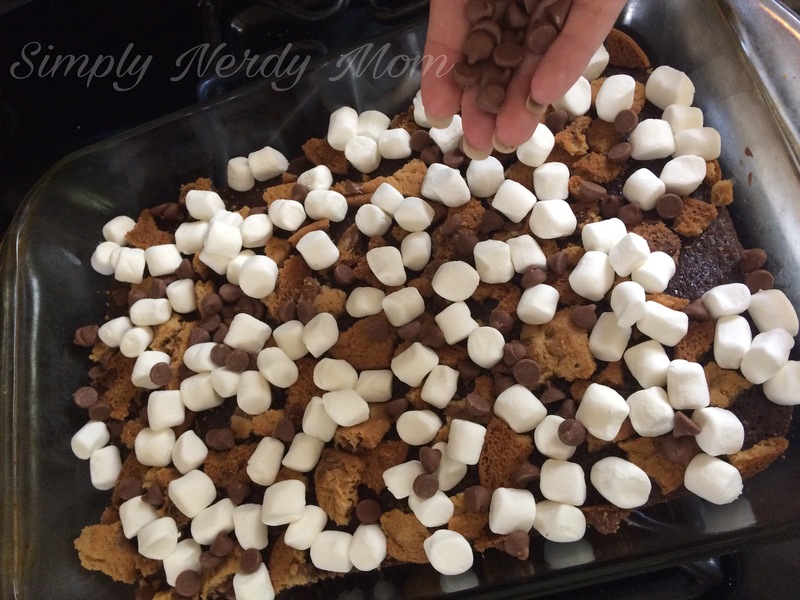 Once brownies have been baked the whole way through, indicated by inserting a toothpick in and it coming out clean, crumble Pepperidge Farm Farmhouse Chocolate Chip Cookies over top, followed by mini marshmallows, and chocolate chips. 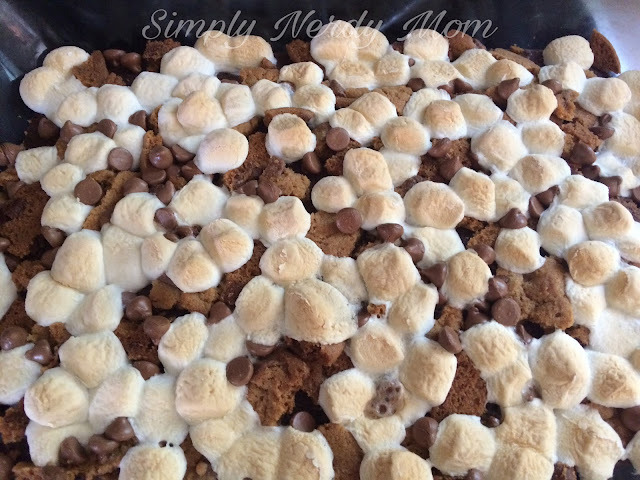 Place back in oven until chocolate is melted and marshmallows are at desired "toastedness". Remove brownies from oven and let sit. 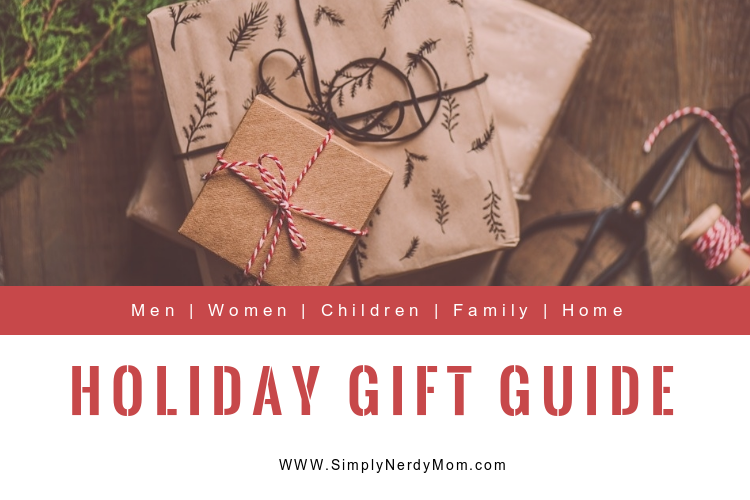 While brownies are cooling, melt 1 cup of leftover chocolate chips in microwave, stirring constantly at 5-10 second intervals until smooth and completely melted. Drizzle melted chocolate chips over cooled brownies.